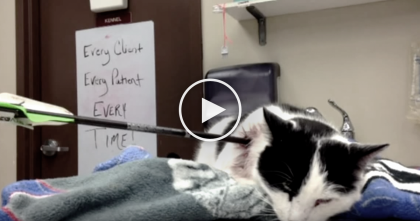 He Walked In The Room To Find The Cat, But What He Finds Instead?? OMG, This Is TOO Funny!! 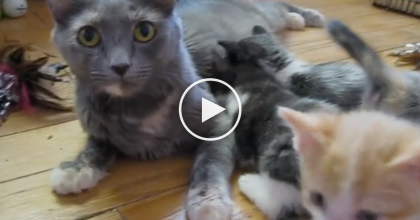 This is too funny, but I’m pretty sure it was the cats idea! He walked into the room to find the cat in the cats normal place, but instead he sees the poor dog huddled up on the small cat bed and the cat? 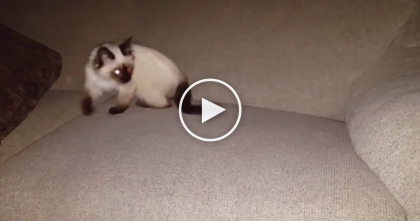 You’ve gotta see where he is! The cat chose to steal the dogs bed and is enjoying all the space, while the poor dog is trying to make himself comfortable on a makeshift bed that isn’t sized for him at all! This is just hilarious—SHARE this funny story with your friends! 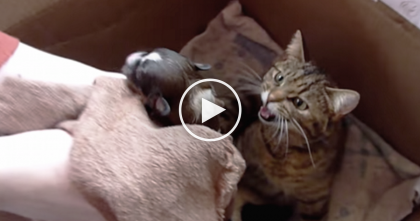 When They Introduced This Puppy To A Mother Cat And Her Kittens…Amazing!! 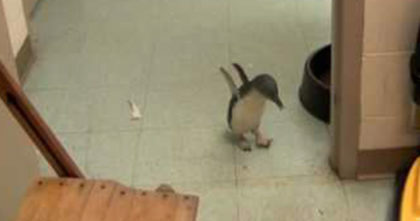 Tiny Penguin Has SWEETEST Reaction When She Sees Her Favorite Person – I Can’t Stop Smiling!